Saks Fifth Avenue sought out Studio Number One to visualize its Spring 2009 season campaign which included boldly designed catalogs, shopping bags, and head-turning ads. The “Want It,” soviet-era themed campaign that was inspired by Constructivist art, but executed with a playful tongue-in-cheek spirit. Beauty company Kiehl's asked Studio Number One to create a special campaign for Earth Day help promote their rare earth deep pore cleansing masque. A limited edition poster was designed as well as unique packaging for the product. Street art has made its mark on virtually every city in the world. In 2011, it became the centerpiece of the L.A. art scene with the “Art in the Streets” exhibition at the Museum of Contemporary Art (MOCA). Over 200,000 visitors came to see it, shattering MOCA’s previous attendance records. 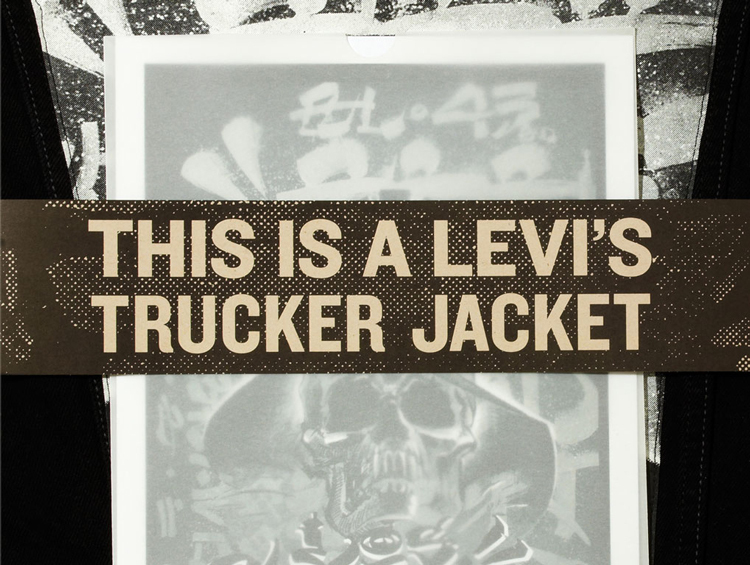 In conjunction with “Art in the Streets,” Levi’s asked 10 of the most prominent artists in the exhibition to create limited–edition denim jackets. Studio Number One was asked to curate those jackets, with special packaging and an in-store display. Studio Number One worked with 10 artists to create 10 unique styles for one in-store display. Each jacket was a work of art in itself so it was important that the packaging to be artful in its own right. The artists’ iconography was incorporated into the boxes and hangtags, screen-printing them with street patterns and texture to create an authentic feel. Studio Number One was inspired by some of the artists’ renowned joint mural projects and created a display that captures the layers and balance of those murals: every artist taking a piece of the foreground without overshadowing one another. OBEY Clothing was founded on the art, design and ideals of Shepard Fairey and was formed in 2001. As an extension of Fairey’s work, clothing became another canvas to spread his art and message to the people. Studio Number One creates provocative graphics that are deeply rooted in the Do It Yourself counterculture of punk rock and skateboarding with cues taken from popular culture, commercial marketing and political messaging for the clothing brand. The designs are heavily inspired by classic military design, work wear basics, as well as the elements and cultural movements that have inspired Fairey's artistic career. Studio Number One works to create designs that represent Shepard Fairey’s influences, ideals, and philosophy. OBEY Clothing is sold in X retailers available in Y countries around the world.